Eveready Industries India Ltd (BSE: 531508, NSE: EVEREADY) on Friday witnessed significant sells of 8.59 lakh shares by the FII, American Funds Insurance Series, amounting to 1.18% of the total shares in the company. Offloading by American Funds Insurance Series occurred as two sells – one of 4 lakh shares and the other of 4.59 lakh shares - both in NSE. Interestingly, there were no identifiable institutional buyers or promoters, as counterparties to both the sells, which means that the massive sale was picked up by the wider market. Promoters of Eveready Industries India Ltd holds 40.85% stake in the company, which is reasonable and healthy by Indian standards. Eveready Industries India is a leading manufacturer of batteries and flashlights. In recent years it has also diversified into allied fields like lighting solutions including alternate lighting solutions, and leveraging its FMCG network, into unconnected fields like packet tea and mosquito repellents. American Funds is a leading international asset management company specializing in mutual funds. A part of the Los Angeles based financial conglomerate, Capital Group Companies, it has nearly $1 trillion in AUM and over 5 crore shareholder accounts, and is often estimated as the world’s third largest asset manager. It may well be even the world’s largest, as its correct numbers are not ascertainable as it is not listed and doesn’t advertise or publicize itself through conventional channels. 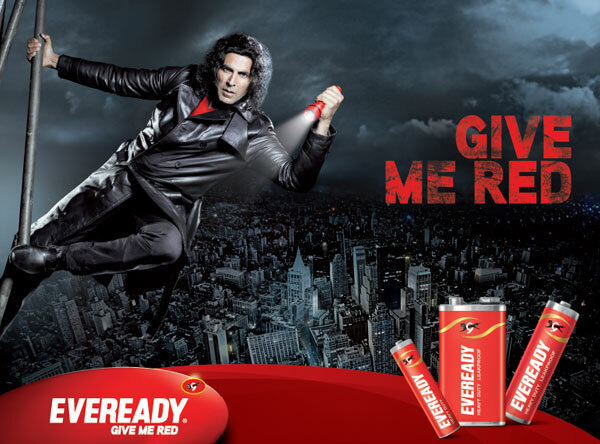 Eveready is a 107-year old brand in batteries and torches worldwide, which belonged to the American company, Union Carbide Corporation (UCC). In India, the brand belonged to UCC’s Indian subsidiary, Union Carbide India Ltd (UCIL). But post the unfortunate and momentous Bhopal Gas tragedy of 1984 which happened at the UCIL pesticide plant there, Supreme Court of India directed an auction of UCC’s 50.9% stake in UCIL in 1994, which the Indian Group, Williamson Magor, promoted by businessman BM Khaitan, took over. UCIL was also renamed as Eveready Industries India Ltd.
Williamson Magor Ltd is the listed holding company of BM Khaitan Group of Companies, that include listed firms, McLeod Russel India Ltd, Kilburn Engineering Ltd, and McNally Bharat Engineering Company Ltd, apart from Eveready Industries India Limited. In India, American Funds is registered as an FII account, American Funds Insurance Series, which has 11 FII sub-accounts dedicated for their various funds. Friday’s sell of Eveready was by the sub-account American Funds Insurance Series - Global Small Capitalization Fund. On the fundamental side, Eveready Industries India has been going through a difficult patch in FY’2011, with standalone revenue dipping by 1.80% and standalone net profit dipping by over 72%. Eveready doesn’t have significant subsidiary activity, as of now, with FY’11 standalone and consolidated revenue different by only 12.83%. But the subsidiary activity was enough to wash away standalone Eveready’s Rs. 39.37 crore FY’11 profits, with consolidated Eveready posting a net loss of Rs. 13.95 crore in FY’11. But this dip in performance is understandable as the whole of Eveready’s subsidiary activity is to do with its 2009 acquisition of loss-making Uniross of France, a manufacturer of rechargeable batteries, chargers, and accessories. Eveready had obtained a majority stake in Uniross by buying 80% stake in Novener SAS, its holding company. Till end of FY’11, Eveready Industries India had pumped in Rs. 41.10 crore as investments and Rs. 17.32 crore as advances into Novener SAS to turn it around, but with no much success. In FY’11, Novener recorded a net loss of Rs. 52.36 crore and its accumulated losses amounted to Rs. 67.25 crore, surpassing its networth. However, Novener SAS and its subsidiaries have completed most steps of a complex restructuring plan by FY’11 end, and if it indeed turns around, Eveready Industries India will be having access to at least seven markets like USA, UK, France, Germany, China, Hong Kong, & South Africa, through the 12 international subsidiaries of Uniross and Novener. Coming to the fiscal year-to-date, and even on a standalone basis, Eveready Industries India’s performance has been uninspiring. While nine-monthly revenues struggled to mark a 1.25% year-on-year growth as on December 31st, net profit has dipped by nearly 83%. The real damage was revealed in Q3 standalone results, which were published recently. While year-on-year revenue growth was muted at just 3.40%, the bottomline went from Rs. 6.68 crore in profit to Rs. 4.84 crore in loss on a YoY basis. Eveready’s explanation for the poor performance is that it has been hit by a double whammy in Q3 when the normally antagonistic movements of Zinc and US Dollar broke, with Zinc remaining high and US$ too appreciating against the Rupee. Zinc accounts for Eveready’s 17% raw material costs, while 40% of its all material costs are dollar-denominated. However, the Q3 results seems to have been enough of a sell cue for American Funds. 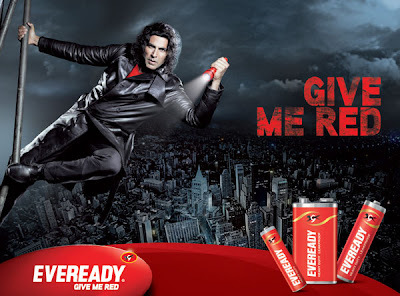 Eveready had also failed to participate significantly in the ongoing recovery rally in the Indian market, and the massive sell by American Funds has come when it became clear that even the small rebound rally in Eveready was fizzling out. All through the current fiscal year-to-date, Eveready stock has been losing market value steeply and steadily. From its 52-Week High of Rs. 61 recorded in BSE on March 16th, Eveready had fallen to a 52-Week Low of Rs. 22.25 on December 30th 2011 - a loss of nearly 64%. Interestingly, despite American Funds’ sell on Friday, the stock had closed up by 6.80% in NSE. The significant sells by American Funds were at Rs. 26.51 and Rs. 26.65, when Eveready was up by 6.32% on an average, thereby giving almost best possible prices for the institutional seller. American Funds’ action of partial exit is likely to be taken seriously by the market, as, with a 6.01% stake, AF is the second largest non-promoter investor in Eveready Industries India, second only to HSBC’s 6.68% stake. Other major DIIs and FIIs in Eveready include, LIC of India, ICICI Prudential FMCG Fund, UTI Master Value Fund, ICICI Prudential Discovery Fund, Macquarie Bank, and General Insurance Corporation of India. Eveready Industries has a consolidated book value per share of nearly Rs. 89, which is partly due to its real estate holdings, but dominated more by intangibles like brand value which is assessed at Rs. 550 crore. The Indian market which remained closed on Monday due to Maha Shivaratri, will be keenly watching the direction Eveready takes when markets open on Tuesday after Friday’s close, as the scrip has high institutional holding of nearly 29%, with FII participation of over 15%.